The Employees page is used to set up employees to use the employee time clock app to punch in/out. 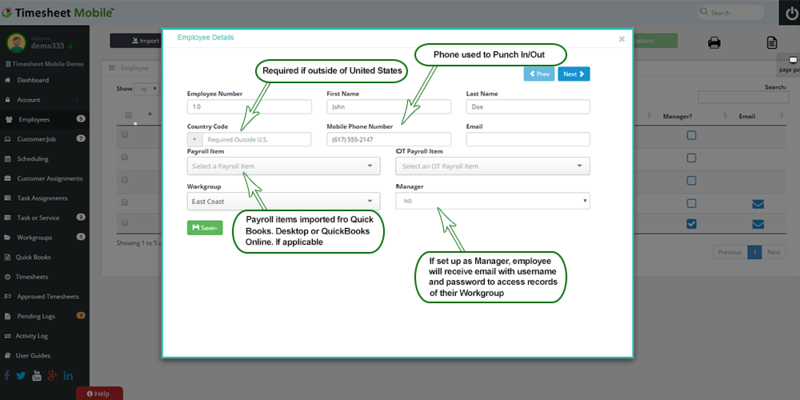 On this page you can view, add, modify and delete employees from your Timesheet Mobile account. Employee information is displayed in the employee table. Employee information is added to the table using the Detail View form below.